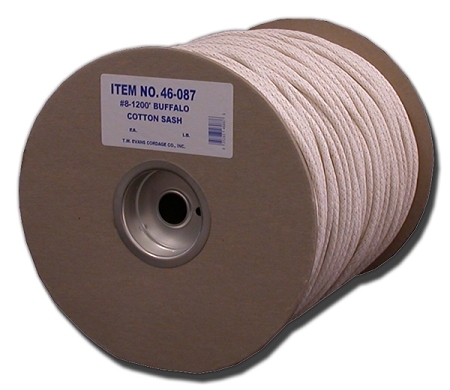 Excellent all-purpose cotton sash cord. Low stretch synthetic core adds strength. Cotton jacket is polished to provide moisture resistance and smooth surface.